Gift for friend’s baby daughter due in February 2015. 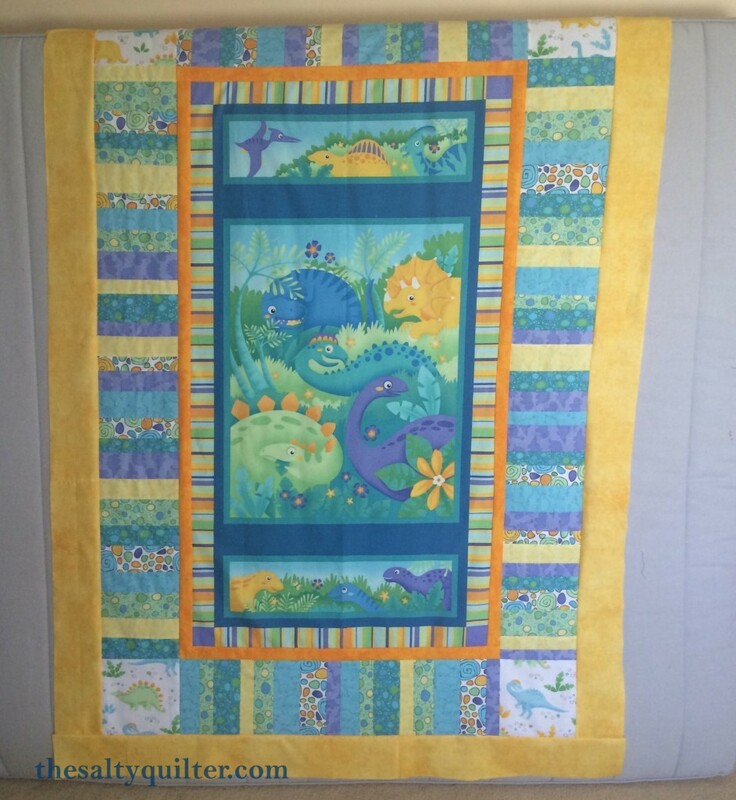 Easy to put together instructions and fabrics. 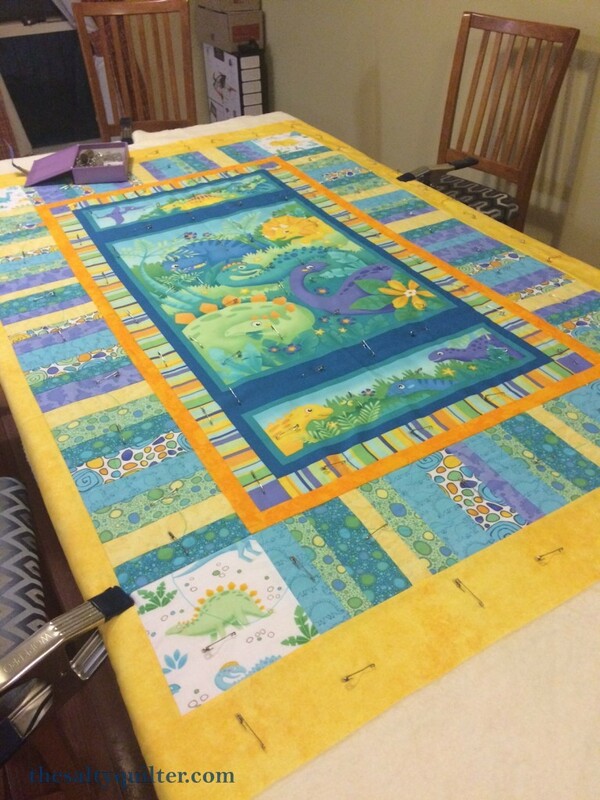 Had plenty of fabric left over from the piano key border to make a strip to go through the backing fabric to get it just the right width. 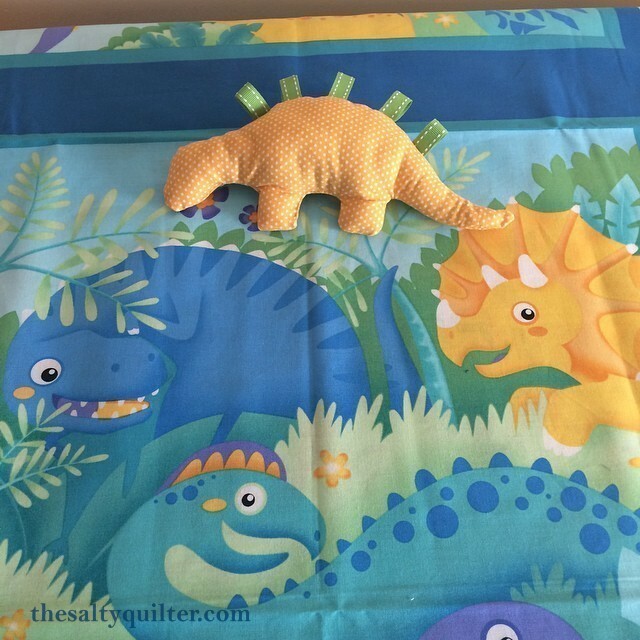 Made a coordinating Stegosaurus taggie softie from First Day of Mae as gift for big sister. Straight line and free motion quilting with YLI invisible thread, Gutterman 50wt cotton and Aurifil. 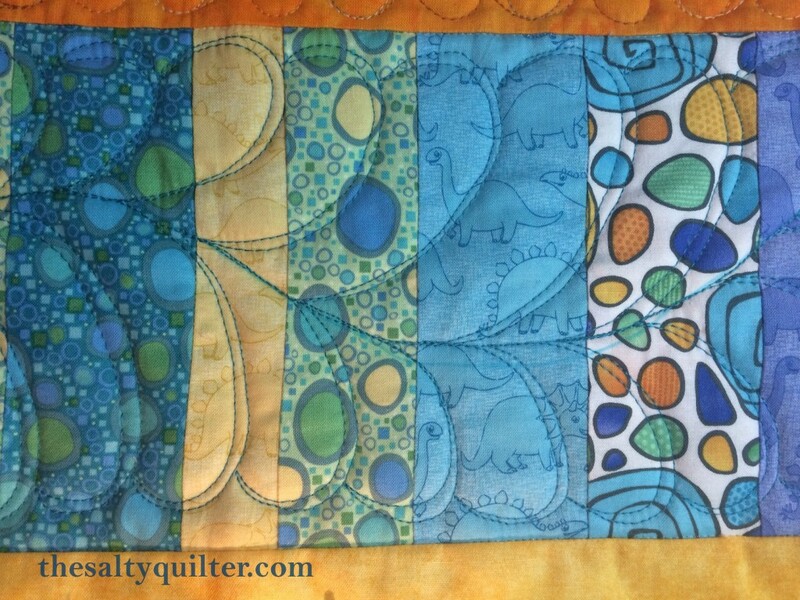 I remember now why I don’t buy Sew Easy cotton batting – it sheds lots of fuzzies from the edge during quilting. Stegosaurus taggie softie made for big sister. 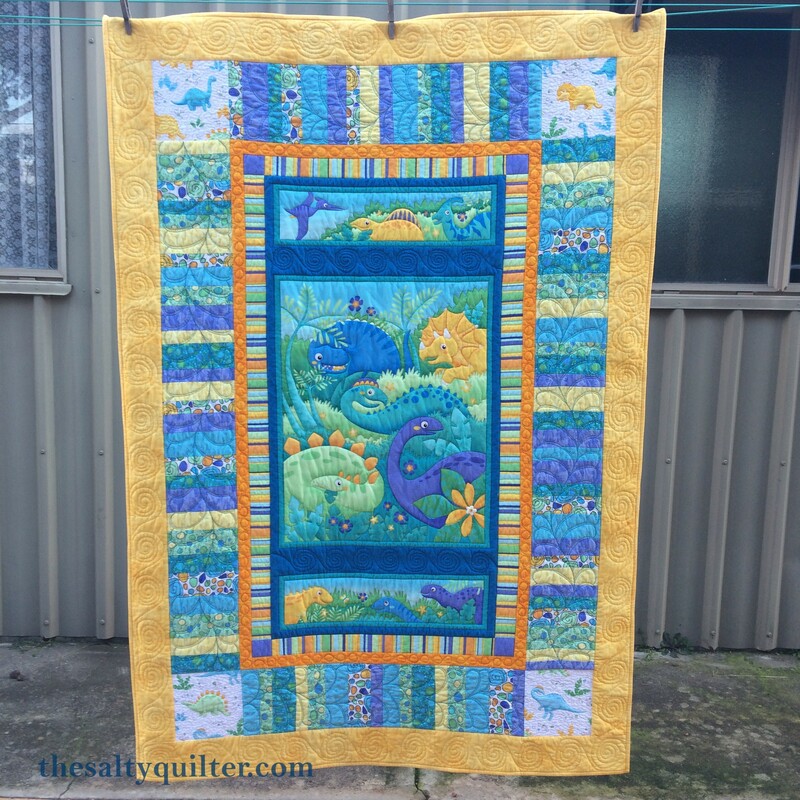 Feather border – because dinosaurs had feathers! 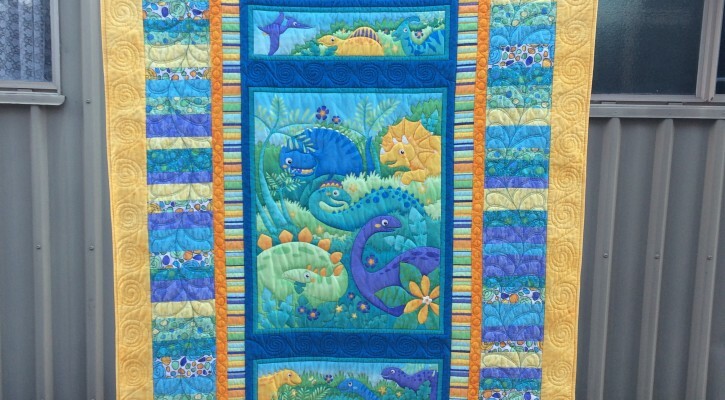 This entry was posted in My Projects and tagged in Baby, Panel.